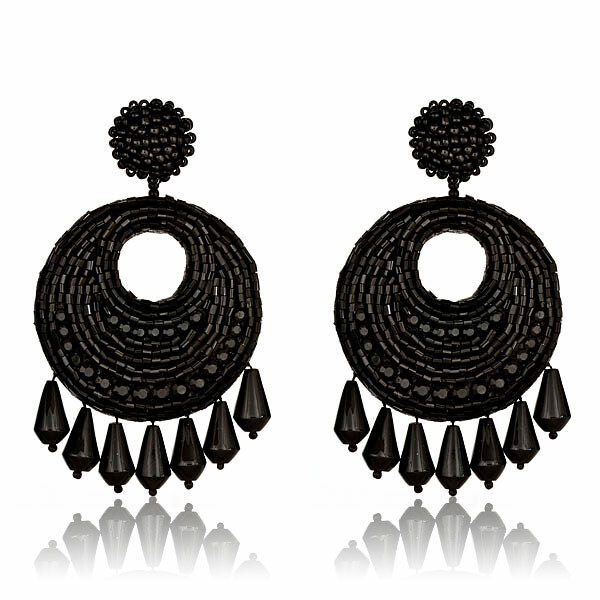 Bold black bohemian beads accentuate these Kenneth Jay Lane Jet Set Gypsy Black Earrings. To complete the Jet-Set Gypsy look just add the earrings, a peasant blouse and more baubles and bangles! These stunning earrings have been featured in numerous editorials as well as on the cover of Vogue Italia!